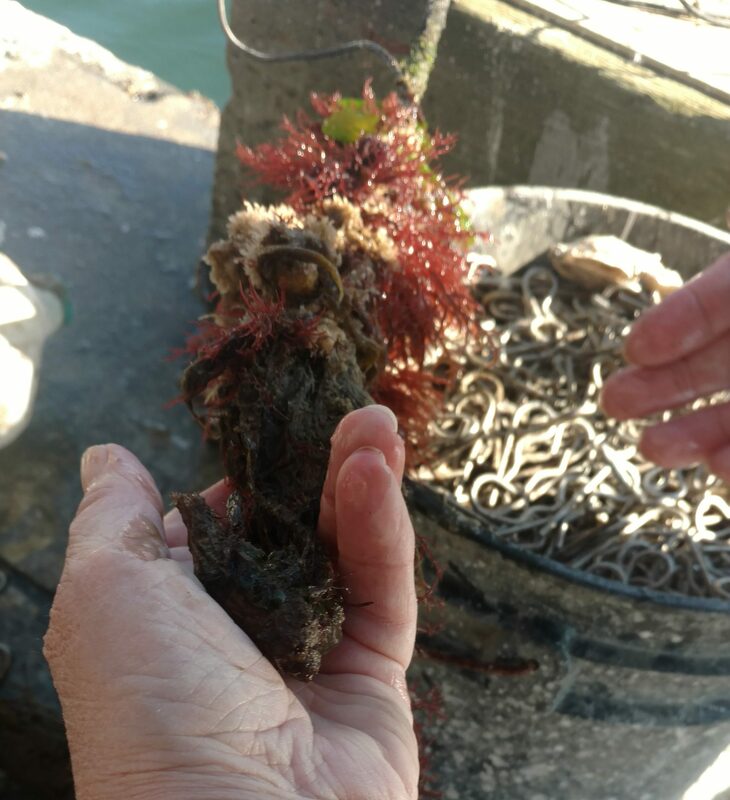 Great Pond Foundation (GPF) spent yesterday collecting tunicate (sea squirt) samples for the second stage of our Tunicate DNA Project. Last winter we worked with Kristin Gribble at the MBL to develop a protocol to genetically identify tunicate samples that we collected from Edgartown Great Pond. Check out our 2016 Annual Report for the results. 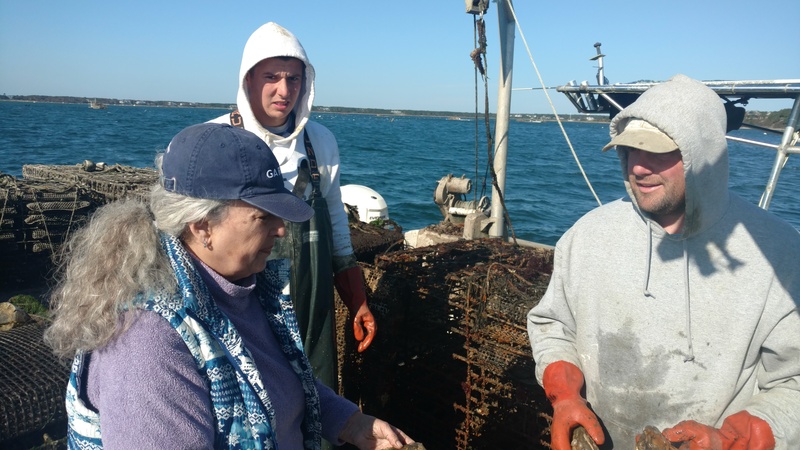 WHOI scientist Mary Carman, who has been studying the impact of invasive invertebrates on Vineyard waters for the last decade, is now lending her expertise to this project. 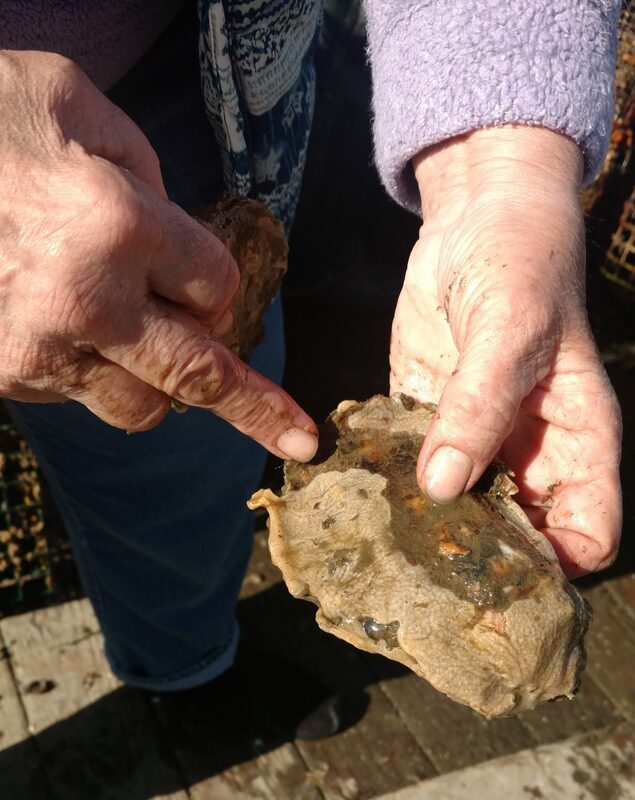 This winter Mary, Kristin, and GPF’s Emily Reddington are expanding the project to include other species of tunicates and several additional island water systems. 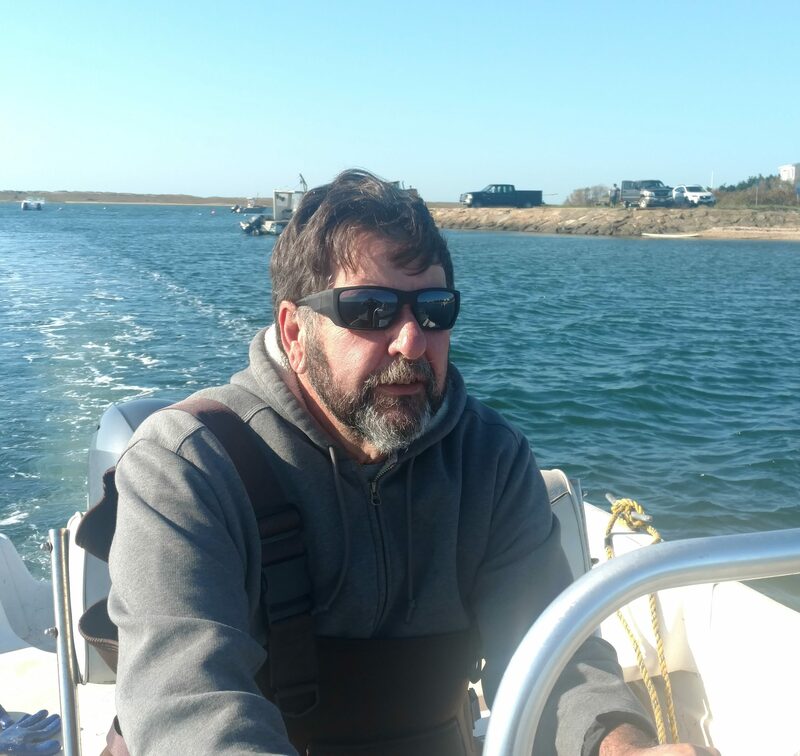 With Paul Bagnall as our fearless guide through Edgartown waters, we set off from Katama in search of tunicates on eelgrass and human-introduced objects such as fishing gear and moorings. Our first stop was in the Oyster Aquaculture Farms in Katama. Ryan Smith graciously welcomed us onboard and helped us find several different species of tunicates, both solitary and colonial. Each solitary tunicate has its own hard out layer or tunic, while colonial tunicates all share one collective tunic. Mary identified the species morphologically and we sorted them by location and substrate (surface on which they were growing) and stored them on ice. In the next couple of months Emily will extract the DNA in Kristin’s lab and work with her team to amplify genes through PCR, sequence these genes, and build phylogenies, or trees showing genetic relationships. 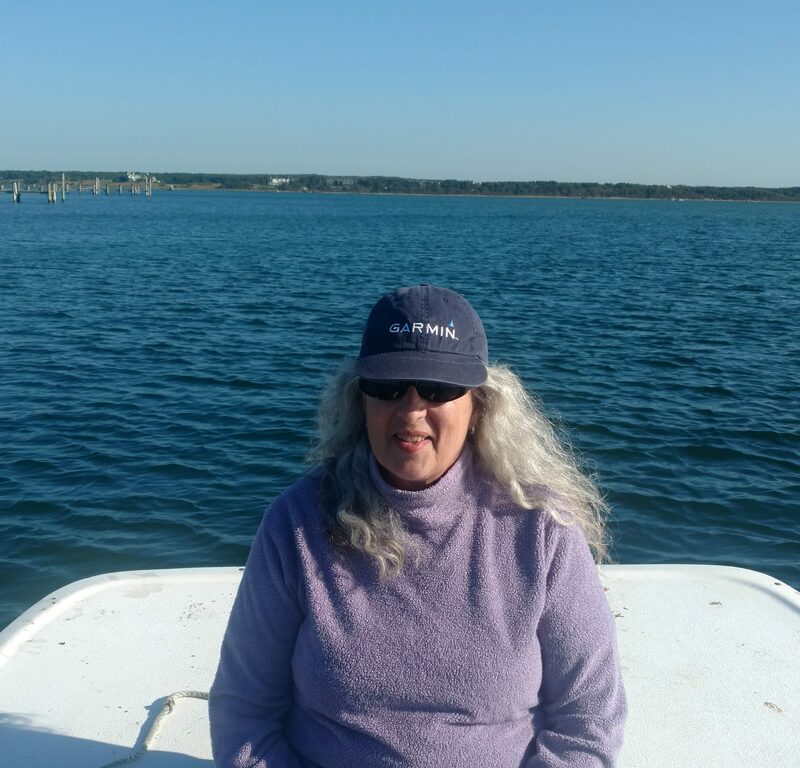 We then headed to Cape Pogue in search of tunicates living on eelgrass. 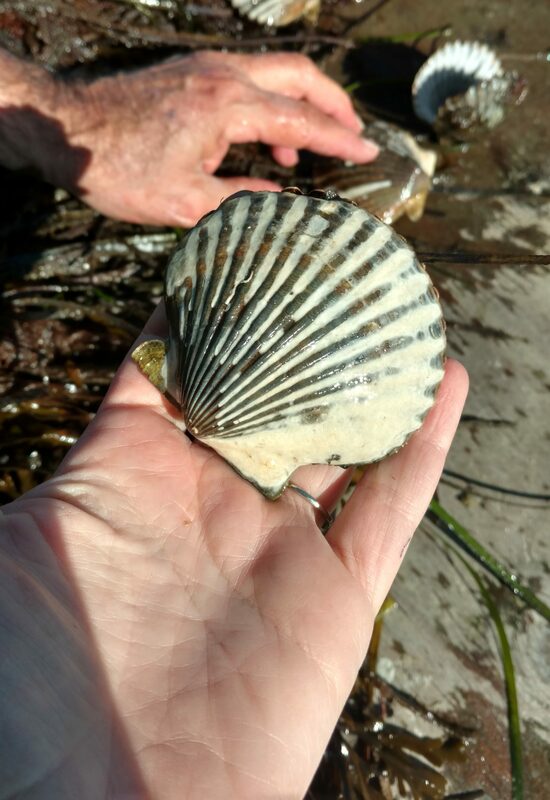 Although we did not end up locating any tunicates in the eelgrass, we found some beautiful scallops. 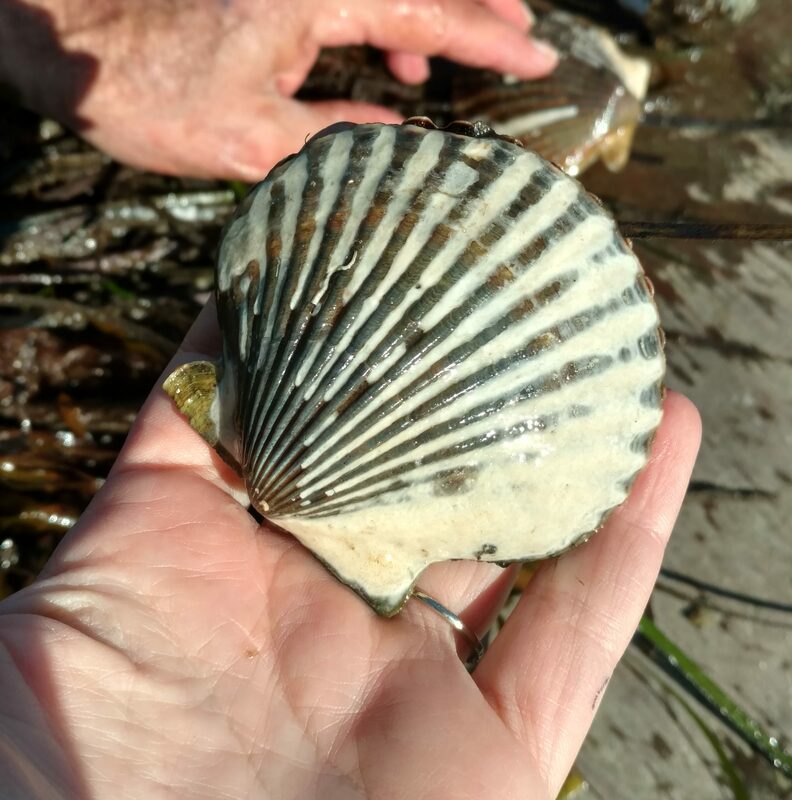 Paul said that when the scallops have a white covering on their shell, it tends to be a good scalloping season. Here is to a great 2017 Bay Scallop Season! A hearty thanks to Paul Bagnall for making this sampling trip possible, to Ryan Smith for letting us collect samples, and to Mary Carman for her expertise. There are so many reasons to love the Vineyard in the fall. Yesterday was a prime example of the beauty, vitality, and generosity of spirit that make this island so special. Happy fall!